European Commission VP Neelie Kroes delivered an interesting political rallying cry in front of the European Parliament (EP) this morning in an effort to abolish mobile roaming costs and safeguard citizens’ right to access an ‘open Internet’. The outspoken EC veep, a strong proponent for a single ICT and telecoms market in Europe, said she will “fight with my last breath to get us there together”. She believes completing the single telecoms market could give Europe a boost of 110 billion euros – about $143 billion – a year. “You and I share the stake in this debate, so tell me: will join me in building something special between now and the European elections? I want us to show citizens that the EU is relevant to their lives. That we made the digital rules catch up with their legitimate expectations. I want you to be able to say that you saved their right to access the open internet, by guaranteeing net neutrality. The telecommunications sector is squarely at the core of the European Commission’s growth plan and Digital Agenda for Europe, yet fragmentation between countries still exists. 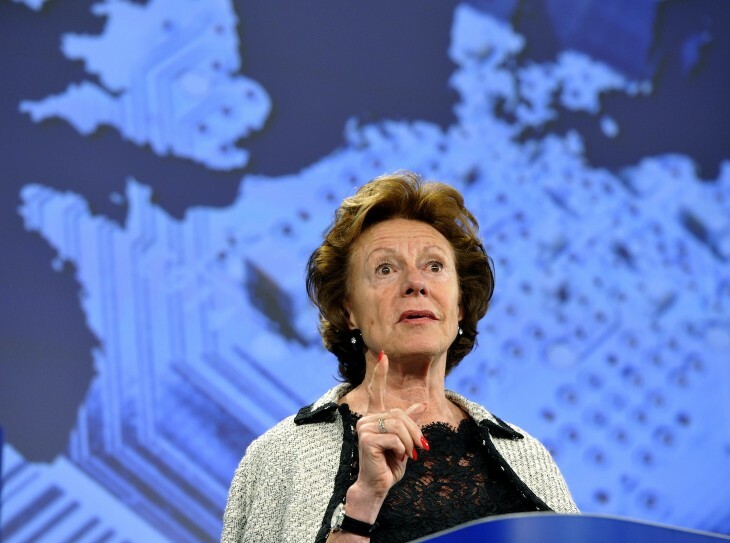 Thus, setting up a single European telecoms market has become a top priority for Kroes, and Brussels is keen to accelerate the process to get the plan approved before the European Parliament elections slated for May 2014. “I am not promising a single market package that gives you everything you dreamed of. This package will have to strike a sensitive balance if we are to agree it quickly. But I am promising to spend the next 12 months building a bridge with you to our citizens, your constituents. I want EU 2 end mobile #roaming costs in #EU. I want EU 2 save the right 2 access open internet by guaranteeing #netneutrality Do u agree? “There is no other sector of our incomplete European single market where the barriers are so unneeded, and yet so high. Change must come from all directions, but it starts with all of us in this room. Our mutual responsibility and our greatest contribution will be to develop a radical legislative compromise. One that our innovators and citizens can build on. A real result. “Radical” because an economic disaster requires big action. It will be interesting to listen to what Etno, the European telecoms industry body, has to say about those compromises, as well as national regulators. But definitely a noteworthy rallying cry.